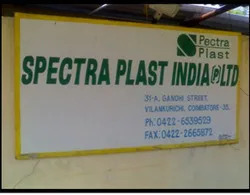 Commenced in 2008, we, Spectra Plast India Private Limited have gained wide acceptance as proficient manufacturer exporter and trader of a broad chain of Plastic Components. Being as ISO 9001:2008 certified firm, we provide superior quality BI Planar Chains, Chemical Tanks and Slatband Chains. With our adamant goal of attaining maximum client satisfaction, we have implemented leading-edge technical aspects in all our organizational processes which results in attaining impeccable success in this domain. Owing to this trait, our offered products are known for precise finishing, high dimensional accuracy, robustness and noiseless operation for prolong duration. Furthermore, with flexible manufacturing system outlook, we are able to cater diversified requirements of customers with complete ease. In tune with current series of development in production technology, we have incorporated high-end infrastructure system. This system comprehends ultramodern manufacturing, quality testing and warehousing facility for serving bulk demands of customers. 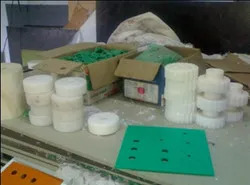 Our production is being done in the advanced manufacturing facility, which results in making the wide assortment of products with rectification as per clients precise needs. We quality test our products with utmost stringency as per latest quality norms in our inspection unit. For effective material handling and delivery of product in tamper proof packing, we utilize vast warehousing unit. In addition to this, we have a team of diligent personnel, who with their extensive proficiency have gained estimable clients such as Pepsico Holdings Pvt Ltd, Hindustan Coca-Cola Beverages, and United Brands Private Limited. 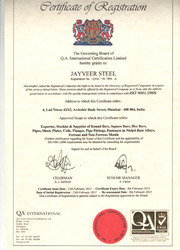 Under the competent supervision of our mentor Mr. S. Ram Kumar, we have earned incandescent growth rate in this domain. His adeptness in managing and marketing have enabled us to maintain ethical business relations with our clients. Manufacturing and Trading of conveyor components and customized engineering plastic machined components. We take team-oriented approach in solving your most challenging conveying issues. Account managers, Sales engineers and customer service representatives focus their experience and expertise on the specific needs of your industry, working with you before, during and after a sale to ensure your complete satisfaction. Unit material handling customers and processing industries are extensively using our Conveyor Slat Chains, Modular Beltings, Conveyor Components and Engineering plastic components. We utilize the latest technology in the entire production process from initial design to the finished product. Our in house engineering team uses state-of-the-art CAD systems that ensure proper part fit, long before production run.